A golden transcendence. 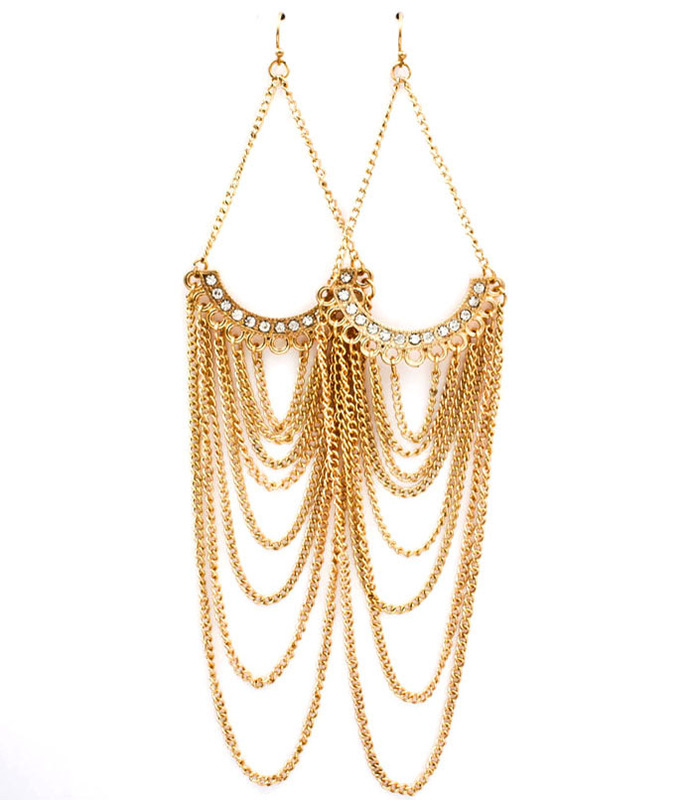 The Elizabeth Chandelier Earrings hang from your ears in layers of looping gold chain accented by a row of tiny crystals. An everyday earring with a major silhouette.At Oz Bling cheap jewellery doesn't mean cheap quality. We guarantee high standards of quality at lowest prices.